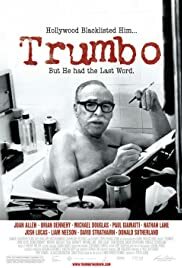 Through a focus on the life of Dalton Trumbo (1905-1976), this film examines the effects on individuals and families of a congressional pursuit of Hollywood Communists after World War II. BEFORE: I’ve done some scheduling the past few days and I’ve come up with some really interesting chains for the next few months. Today starts a three day Michael Douglas chain with the documentary Trumbo which is about, you guessed it, Dalton Trumbo. Some special chains coming up soon are: a baseball chain for the beginning of the postseason in October, and later in the month, a horror chain. I’m still working out the details for the horror chain, but there should be a lot of classics included. The best part is I don’t have to worry about what film I’m watching next. AFTER: In just under three months, I’ve watched and reviewed a total of 83 films. There have been eleven 2-star, twenty-six 3-star, thirty-two 4-star, and fourteen 5-star films. The rating I haven’t given out yet; the 1-star. Well that all changes with Trumbo. The biggest, and only, reason is the format of the documentary. It’s a combination of dramatic readings of letters Trumbo wrote, archival footage of the HUAC investigation, and an occasional interview. None of these elements are inherently bad; in fact there was a lot of pertinent information explained. The problem is my mind could not focus and was left wandering about all the school work I need to do. Why? Because Trumbo is an essay, or rather a novella, that is put on the screen. Any film, documentaries included, should be more than just a reading. Put this in book form and publish it and it could be very interesting and informative. It could be very helpful for a Film History student learning about the blacklisting in Hollywood. But it does not work as a film because it’s very difficult to retain an audience’s attention. Even with a lot of big names doing the dramatic readings, and I mean big names (Michael Douglas, Liam Neeson, Paul Giamatti, Donald Sutherland, David Strathairn), there is just nothing there to attract or keep the audience’s attention. If you really want to learn about the Hollywood 10 and the blacklist, which I highly recommend you do, don’t do it by watching Trumbo. Read some Wikipedia articles or go to a library and check out some old-fashioned books.